We are featured in the In the City column, written by Edward Fennell, of The Times’ City and Law pages today. Mark Howell, the property investor, echoed Dolly Parton’s line, “Oh, I wish that we could stop this d-i-v-o-r-c-e” in the Court of Appeal this week in the “map- reading row” case. Unfortunately that proved impossible. But at least Judge Michael Horowitz highlighted that “far more money than was necessary” had been wasted in legal costs. All of which would have been country music to the ears of James Roberts, the treasurer of the Family Law Bar Association, who has just announced the launch of Intelligent Divorce, which promises to turn upside down the traditional blank cheque approach. Roberts and his co-founder the solicitor Mahie Abey are offering fixed costs — at about £1,000 per couple — plus guidance to enable clients to handle the routine paperwork. 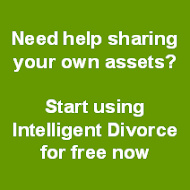 “In a divorce, people automatically approach a solicitor for assistance and costs can spiral. By doing the non-legal work yourselves you could save many thousands of pounds on lawyer’s bills, not to mention the stress of a long drawn- out court case,” says Abey. As Intelligent Divorce puts it, if couples are “still communicating” they can make a divorce settlement that “is fair to both parties.” Just don’t try to negotiate while driving down unfamiliar country roads. Remember that you can register on the site and start using it for free - you only need to pay if and when you decide to proceed. 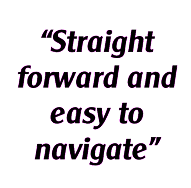 Please do call us on 0844 745 6850 if you have any queries about how Intelligent Divorce works - or to discuss if it's suitable for your case.